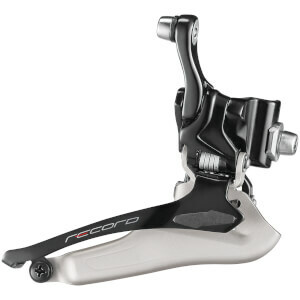 The new Record rear derailleur is produced in an ultra-light technopolymer with reinforced long strand UD carbon fibre, this allows the derailleur to weigh less but maintain the same rigidity and durability. 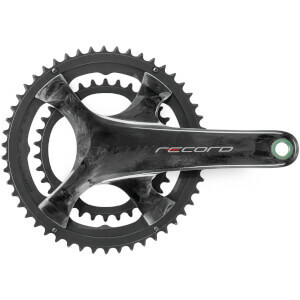 The trajectory curve has been optimized for 11-29 and 11-32 cassettes, when inspecting how the derailleur shifts, you’ll notice that the jockey wheels are incredibly close to every single sprocket giving a smooth and instant shift. 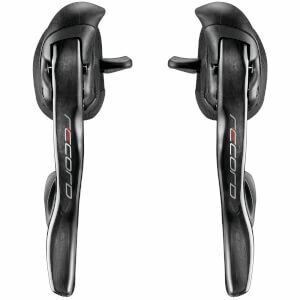 This design also eliminates the need for multiple cage derailleurs, simplifying the range. 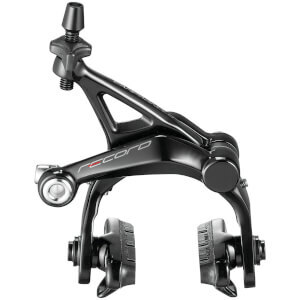 A new upper body return spring has been redesigned to absorb road vibration and protects the derailleur from violent movement on the road.